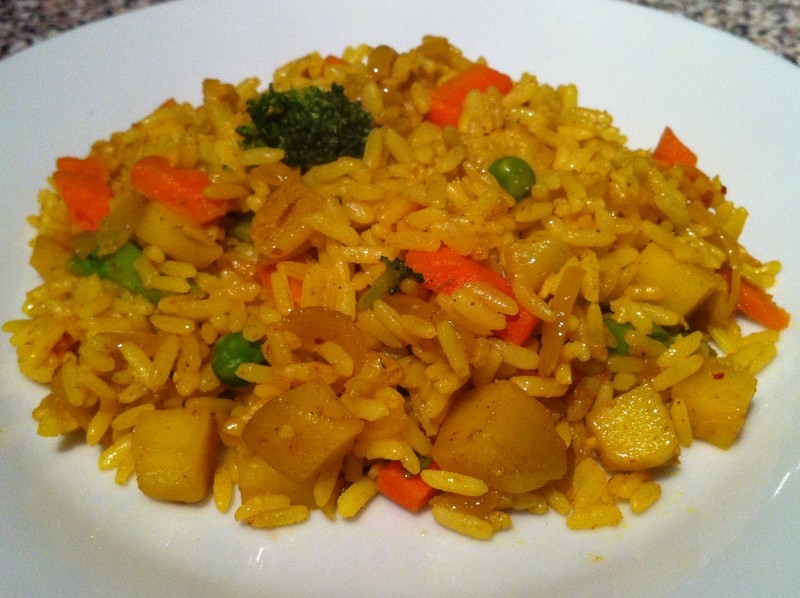 Bhaat Biran – Indian style fried rice – Food That Makes You Smile! I have grown up eating some incredible dishes created by my mum. She is well known for her cooking because no matter what she makes, it always tastes amazing. I don’t think we really get to appreciate these luxuries in life until we move away from home – which I have obviously done. 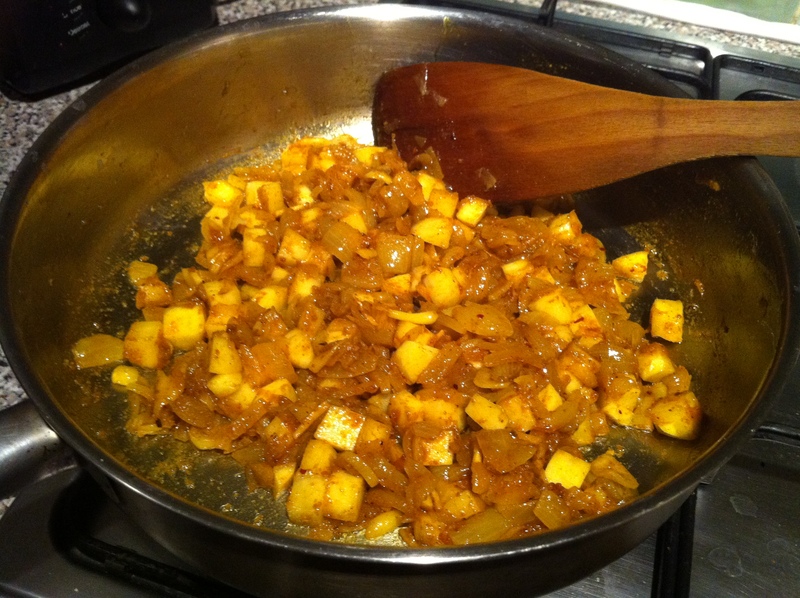 But after moving to London, I wanted to try and replicate some of her dishes, but with a hint of me. 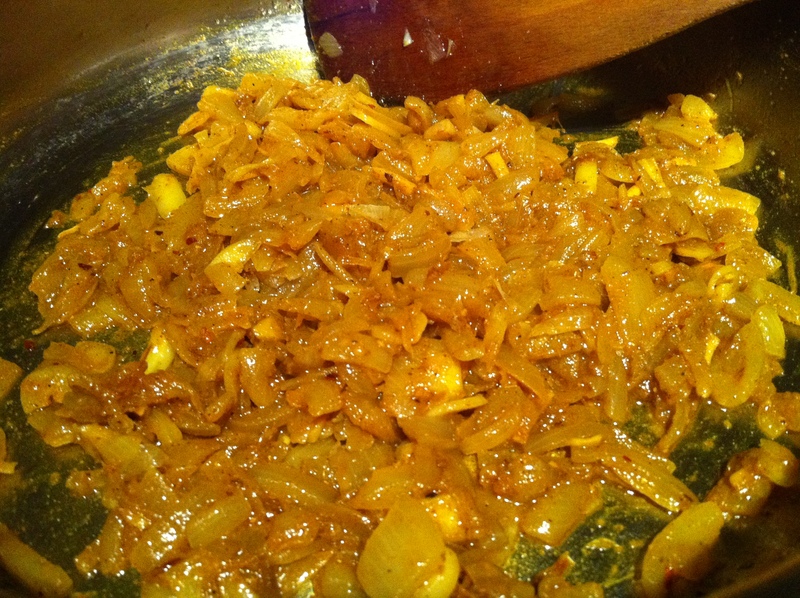 So please try making this because it’s one of my favourite dishes, and a family recipe. But the thing with this dish is that there aren’t really any exact measurements for the ingredients, just use more/less of what you like. After all, cooking is all about experimenting. 1. 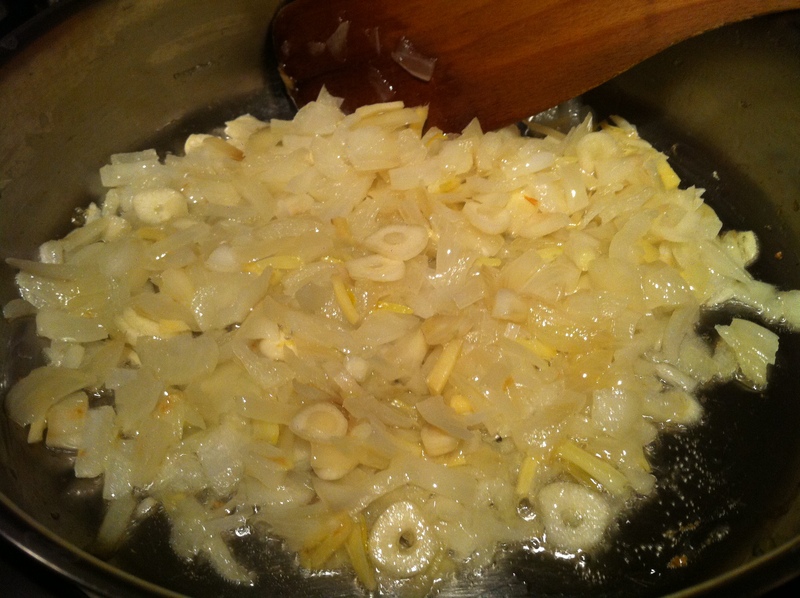 Heat the pan with the oil, add the onions, garlic and ginger and cook until softed and lightly golden brown. Then add the salt. 3. 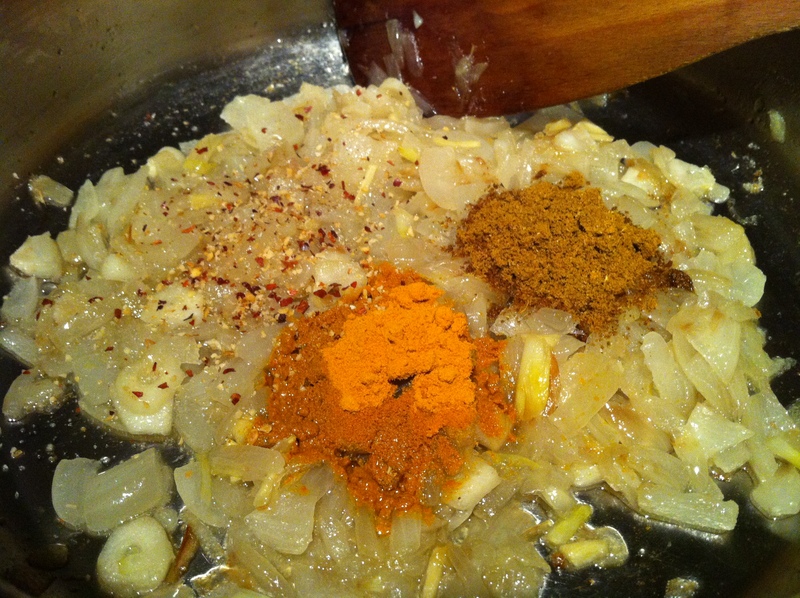 Cook the spices for approximately 2 minutes to bring out the flavours. 6. 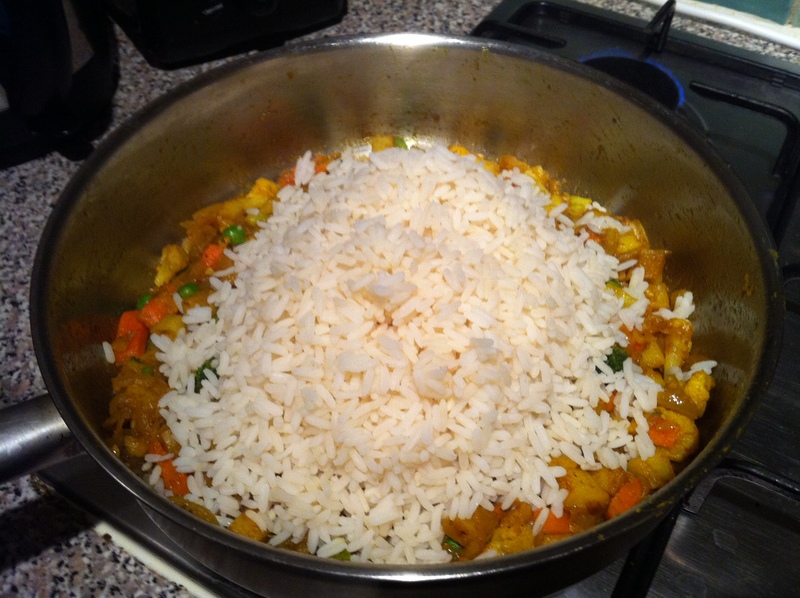 Add the cooked rice. 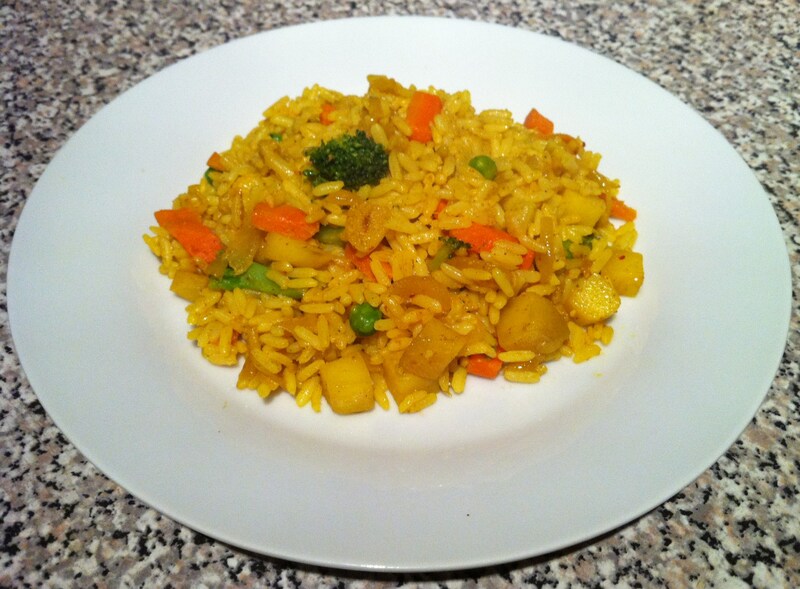 I used long grain rice as I tend to make this dish if I have cooked too much rice for a previous dish and have a fair amount left over – which I had done when I decided to make this. 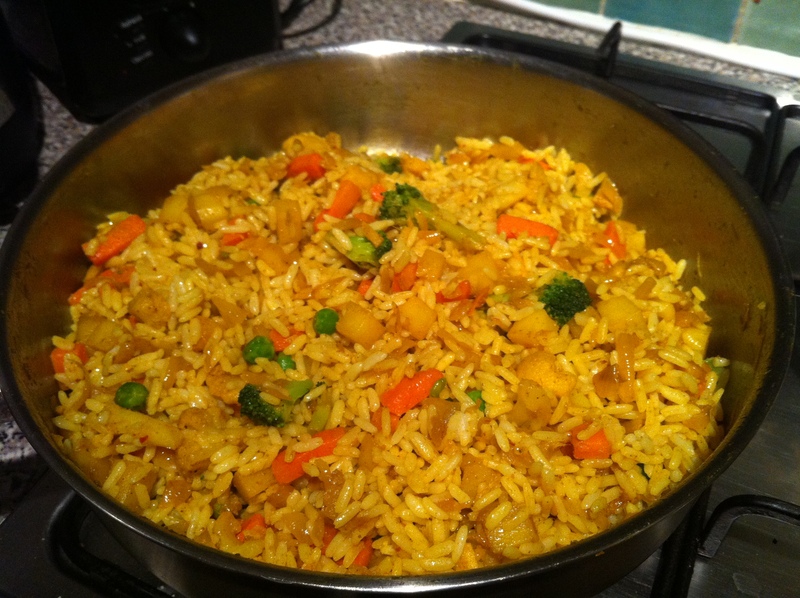 It also tastes amazing with basmati rice. If the rice has been in the fridge, make sure you heat it up properly in the microwave first before adding it to the pan. Heat in the microwave even if the rice hasn’t been in the fridge (for a shorter amount of time obviously), because it takes less time to cook and soak up the flavours. 7. 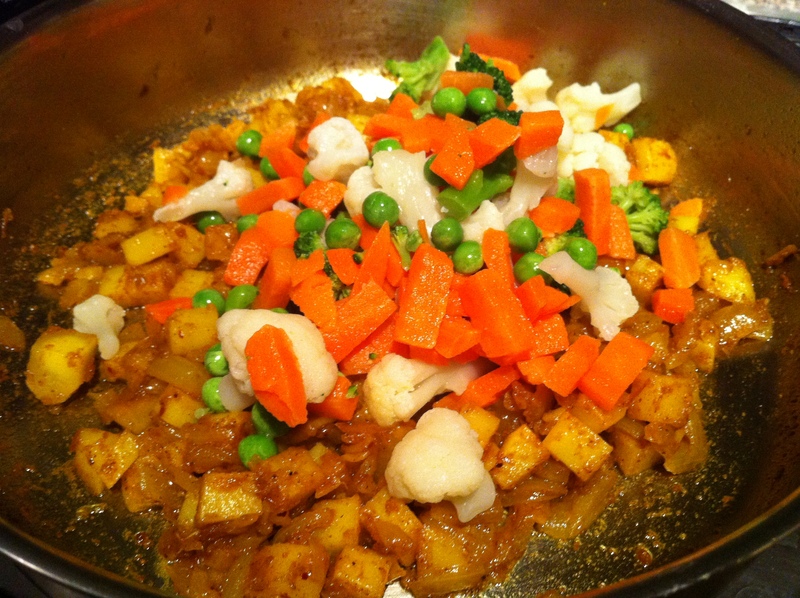 Stir all the contents and cook on a high heat for a minute. Then cover with a lid, on a low heat and continue to cook for just under 10 minutes, or until you think it’s ready. 8. Enjoy! 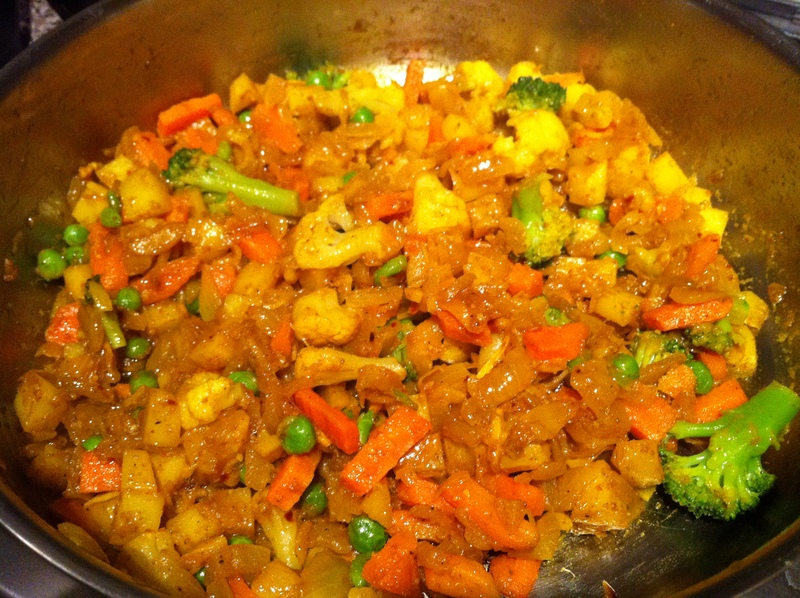 This dish is well known for the kick of ginger, and I always add more ginger than stated as I absolutely love it. Garnish with chopped coriander – it really adds to the dish. I unfortunately didn’t have any at home when I cooked this though.